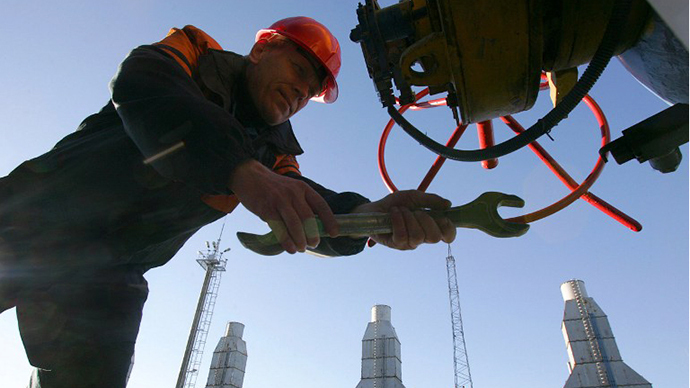 Gazprom officials are in Athens for talks on acquiring Greece's public gas distributor DEPA. Gazprom is already DEPA’s major supplier and there are concerns the EU could block the deal in an attempt to limit Russia’s presence in its energy market. According to local media reports, Gazprom head, Aleksey Miller himself is taking part in the negotiations. Gazprom is trying to negotiate favorable terms for the deal, stressing its sole major bidder position in the privatizing process of DEPA, Reuters reports. These are the third round of negotiations since March 2013, and this time Gazprom wants to achieve guarantees from DEPA creditors to clear its debt of €380 million before taking over the company. Gazprom also wants to postpone the payment of a bid guarantee of 20% of the deal's value until the European Union approves the acquisition of DEPA by the Russian firm. Gazprom is DEPA’s main gas supplier, which has raised concerns the EU might block or impose stern conditions on the deal, as it’s trying to loosen Russia’s grip on EU energy market. Binding bids are due to be submitted by May 29. Gazprom's only rival for DEPA is M&M Gas, a joint venture by Greek energy firms Motor Oil and Mytilineos. In a previous attempt to sell DEPA in 2003, Greece excluded the utility's gas suppliers from submitting bids, but it did not include that condition this time.